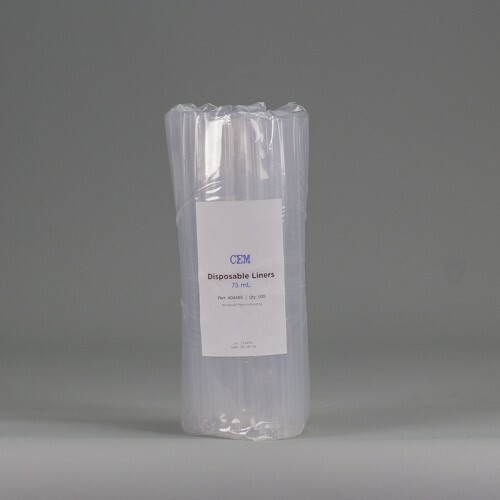 Set of 100 disposable Teflon liners for use with MARSXpress 75 mL vessels. Disposable liners offer ease of use and eliminate the need to wash vessels between runs. Ideally suited for high throughput labs running US EPA 3015A and 3051A methodology. Must use MARSXpress Disposable Liner Forming Kit to ensure proper sealing.